More than a Bible you listen to, the King James Version Audio Bible is an experience that helps you enter into God’s Word… so God’s Word can enter into you. The book of Isaiah from the poetic, classic King James Version of the Bible is digitally produced to bring the Bible’s stories to life. 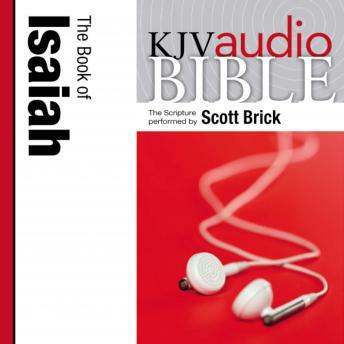 Performed by Scott Brick, the prolific and award-winning narrator of hundreds of audio books, this vivid recording will help you hear God’s word again…for the first time.